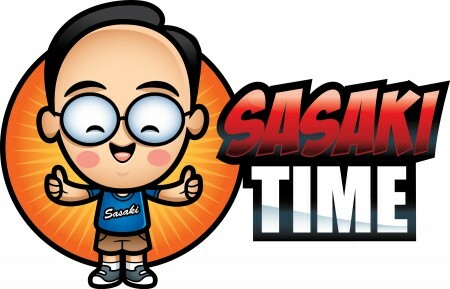 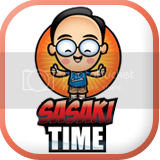 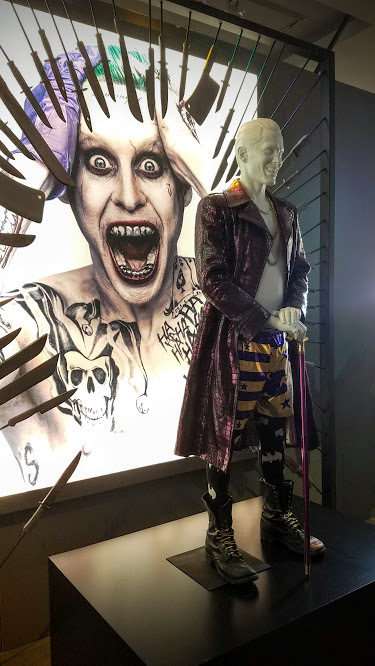 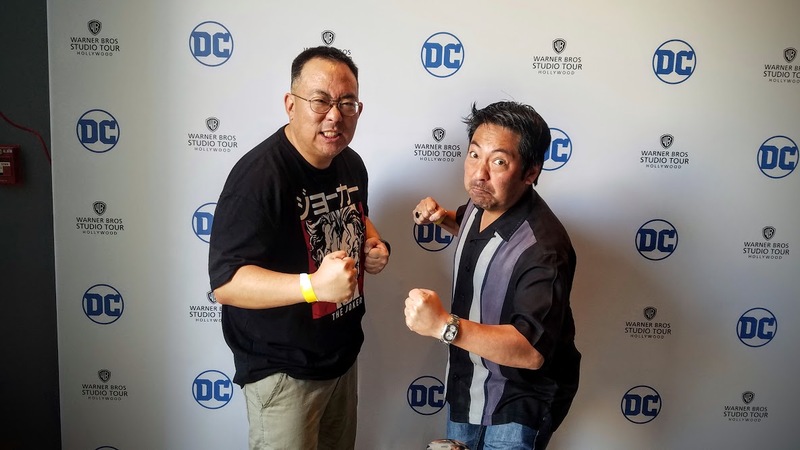 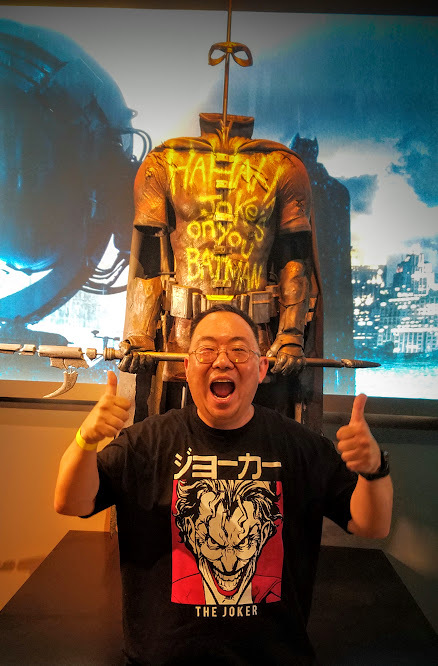 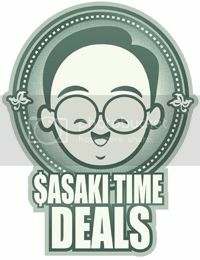 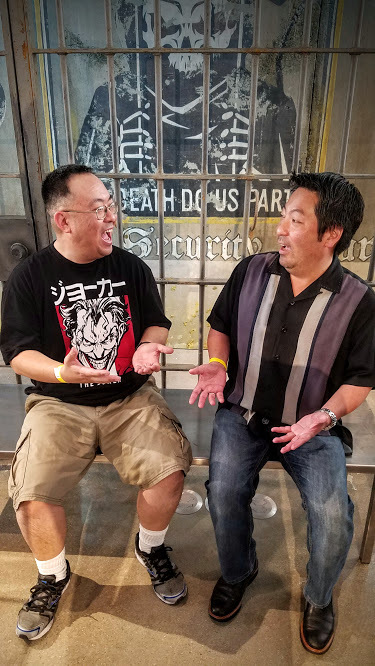 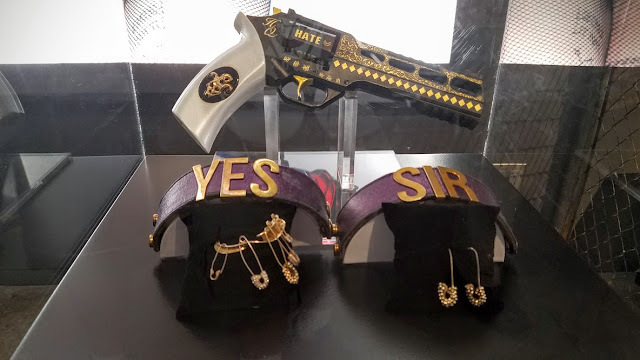 Sasaki Time: First Look at DC Universe: The Exhibit featuring Costumes from Suicide Squad and More! 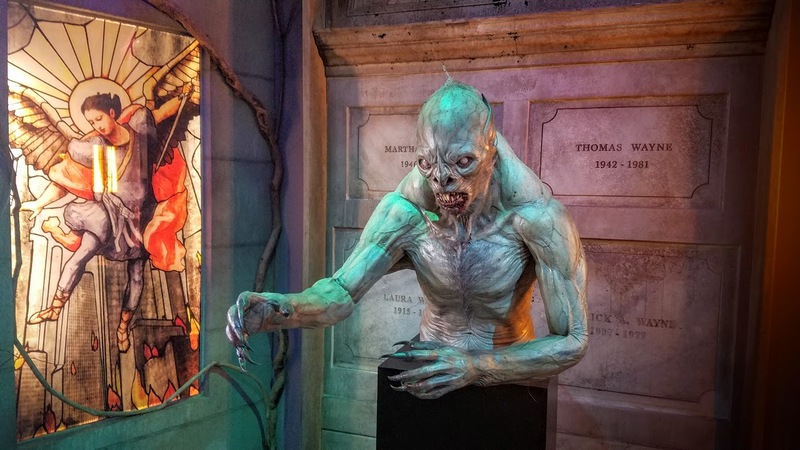 First Look at DC Universe: The Exhibit featuring Costumes from Suicide Squad and More! 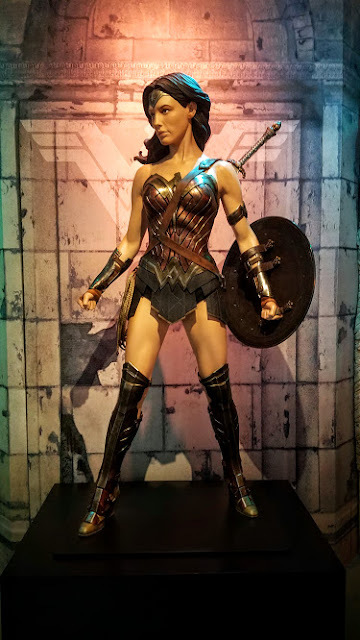 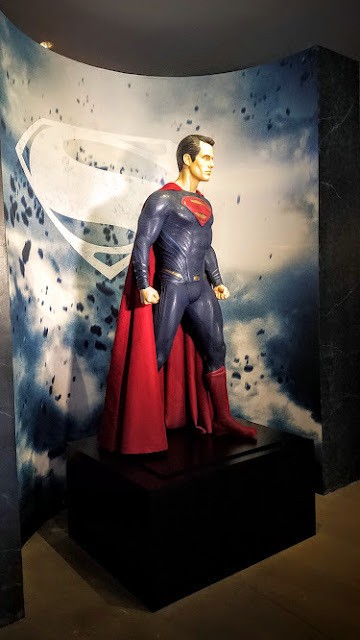 Opening on May 24th, 2016, DC Universe: The Exhibit will be part of the famous Warner Bros. Studio Tour. 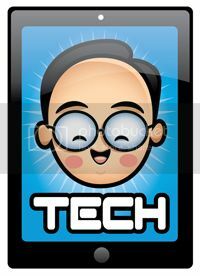 Come with me and get your first look at some of the amazing costumes and props you will see here! 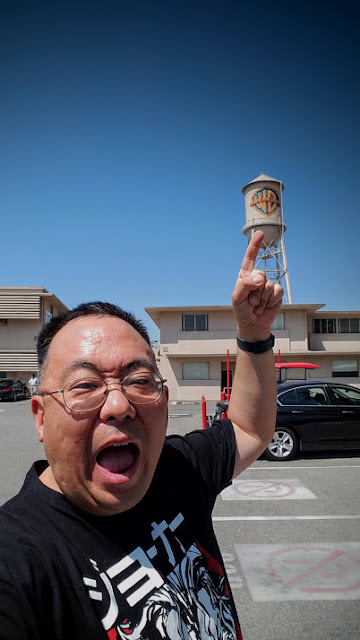 But first I had to stop and see if the Warner Brothers and my favorite Warner sister were here at the famous water tower. 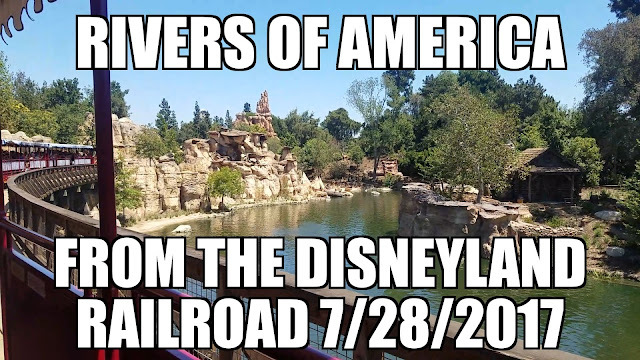 Sadly none of them were to be found. 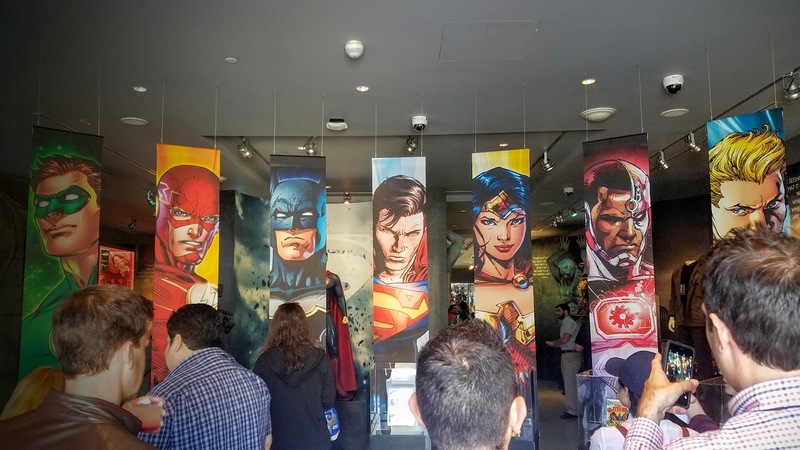 Entering DC Universe: The Exhibit you are greeted by the Justice League and you will find their first comic books below the stunning artwork. 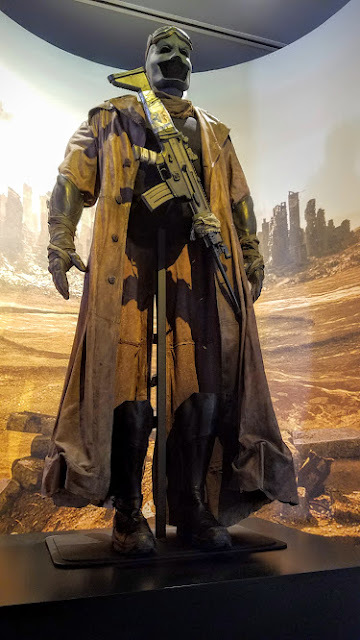 One of things I really enjoyed was that the mannequins look like their movie screen counterparts! 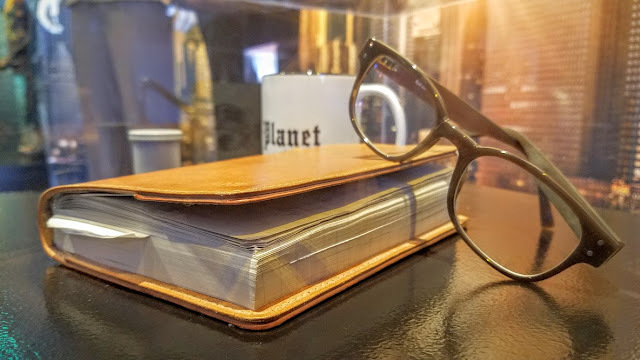 Hmmm why does Clark always leave his glasses behind when superman is here? 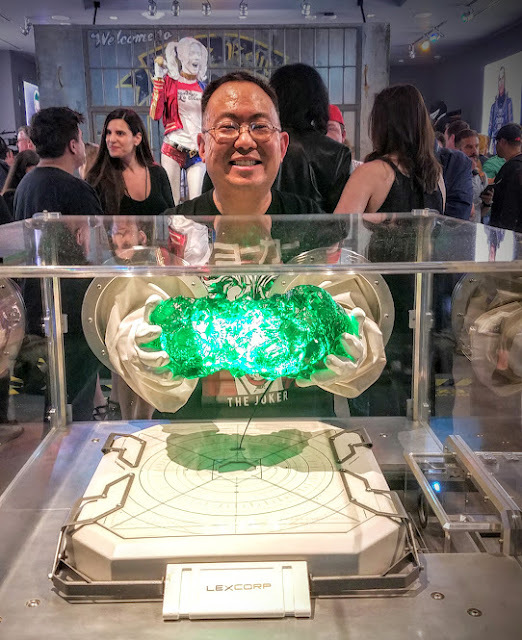 Lexcorp was kind enough to bring this amazing and surprisingly heavy piece of kryptonite. 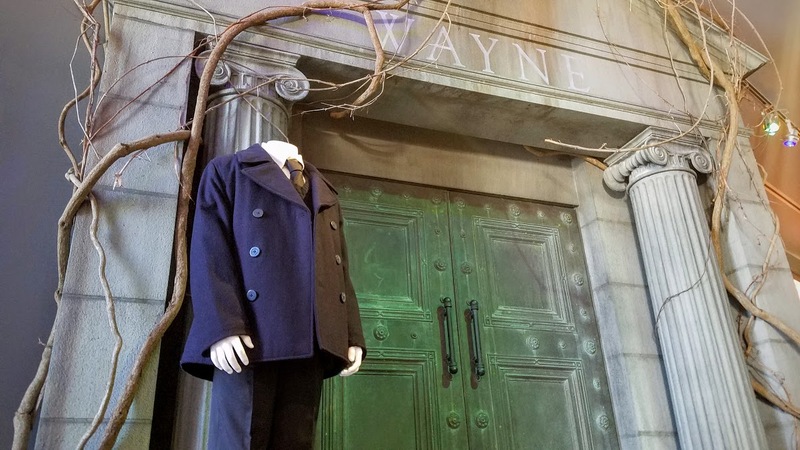 The costume of young Master Wayne stands next to the Wayne Family Mausoleum. 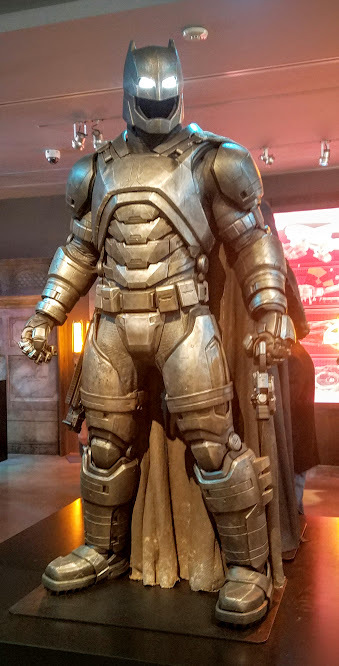 The bat-demon that is seen in Bruce's nightmare with his mom's tomb. The amazing details on Wonder Woman's costume. 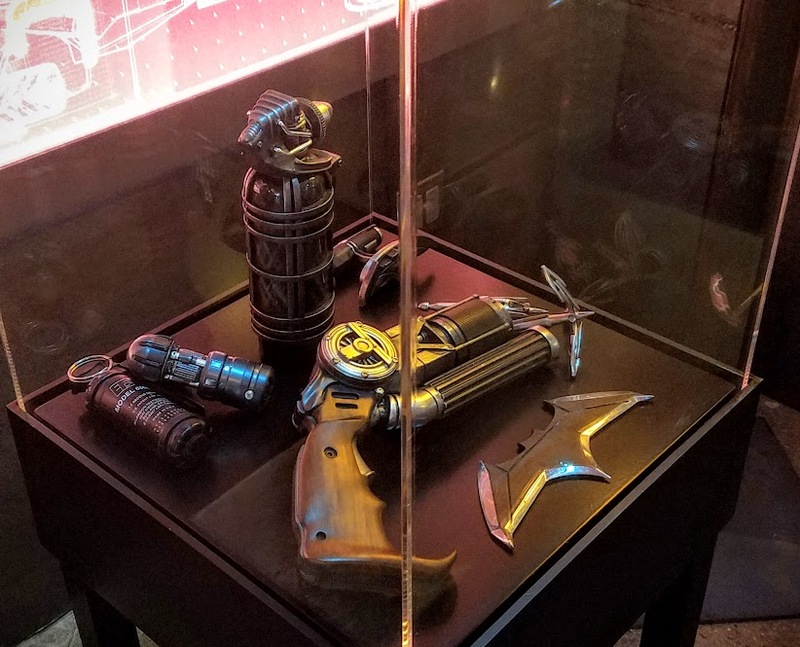 Batman has all these wonderful toys! 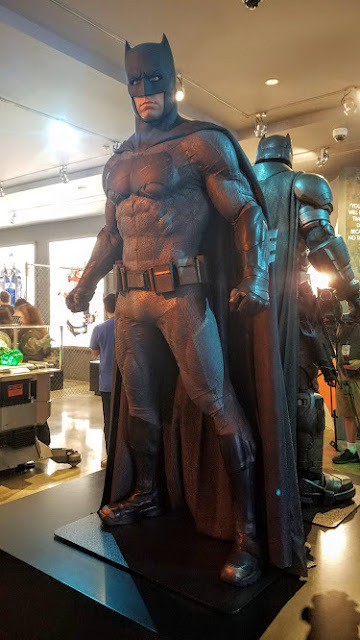 The details on the Batman armor are impressive! The Batman's post-apocalyptic nightmare outfit. 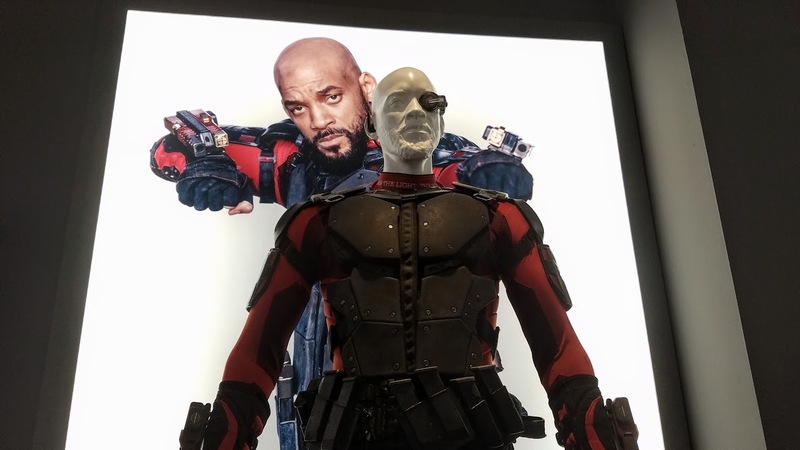 Get a closer look at the Suicide Squad such as Deadshots costume! Deadshot's sniper rifle is wicked! 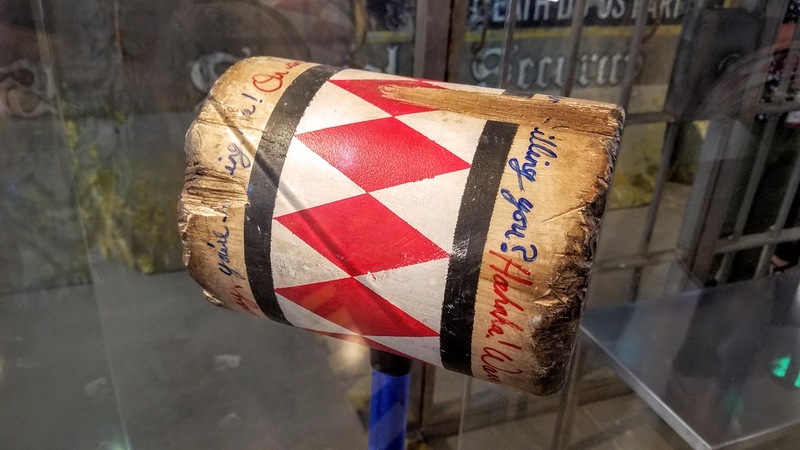 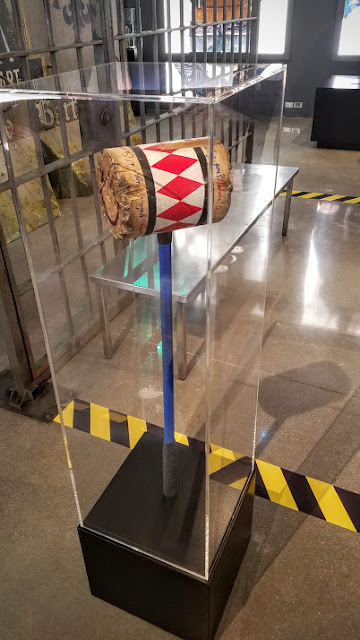 A closer look at Harley's mallet! 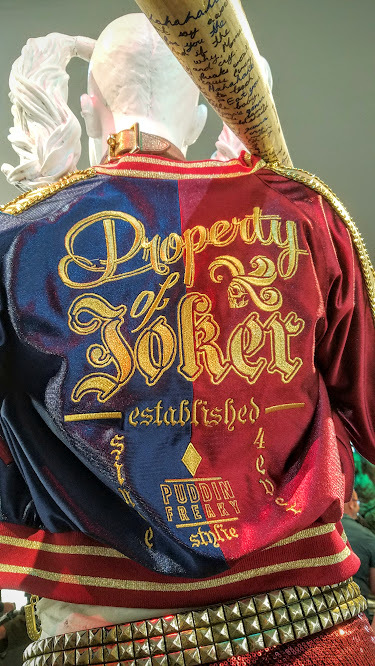 Harley's amazing jacket! We were told that the letters under Pudding Freaky have some sort of significance that we will discover in the Suicide Squad movie! 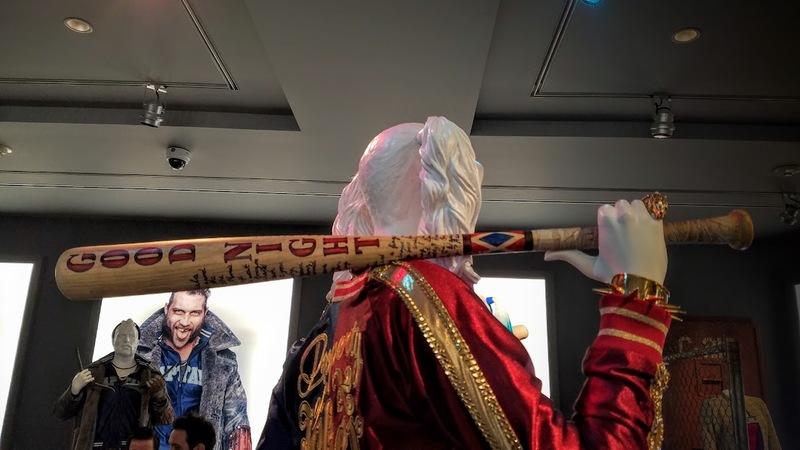 A closer look at Harley's baseball bat! 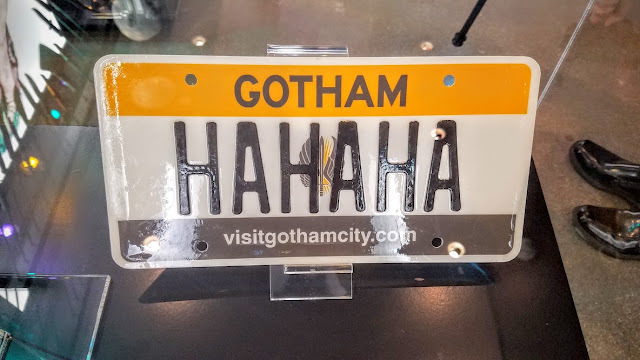 When you find out that you are in the same jail as Harley! The license plate from Joker's car! 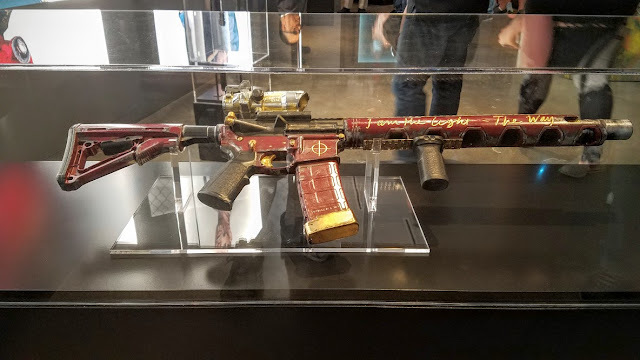 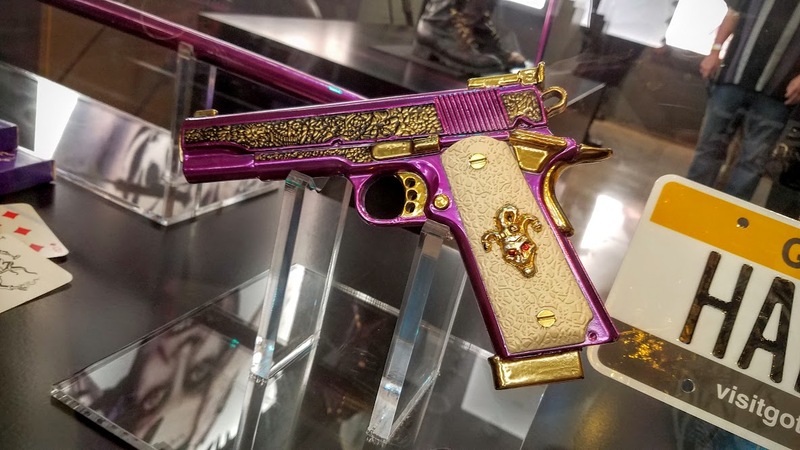 Joker's gun is way cool!